Many State College Area School District students are spending this week taking the Pennsylvania System of School Assessment exams, putting their knowledge of reading, math and writing to the standardized test. But even though every Pennsylvania school district is required by law to administer the PSSAs, a growing number of SCASD students aren’t taking them. SCASD Superintendent Bob O’Donnell says the parents of 120 students have decided their kids won't be taking the tests, revealing a controversy that's spreading across the country. Those 120 students represent about four percent of the 3,093 students who are supposed to take the PSAAs. That's a striking increase from just last year, when only 26 students (about one percent of the eligible students) opted out of the tests. “There’s been a national dialogue regarding opting out of standardized tests, and there’s no question that this has been a topic of conversation in our community as well,” O’Donnell says. Penn State education professor and SCASD parent Dana Mitra says she started opting her own children out of standardized tests as soon as they became old enough to take them. And Mitra says she’s only one of a growing number of parents state-and-nationwide who are protesting “a broken system” that doesn’t help teachers, schools or students. What do standardized tests accomplish? O’Donnell says the PSSAs are designed to compare the academic performance of schools across Pennsylvania, giving lawmakers and the state department of education an idea of which districts are struggling the most. School districts also use the test results to “dig deeper into programing and curriculum” to help shape educational planning, O’Donnell says. 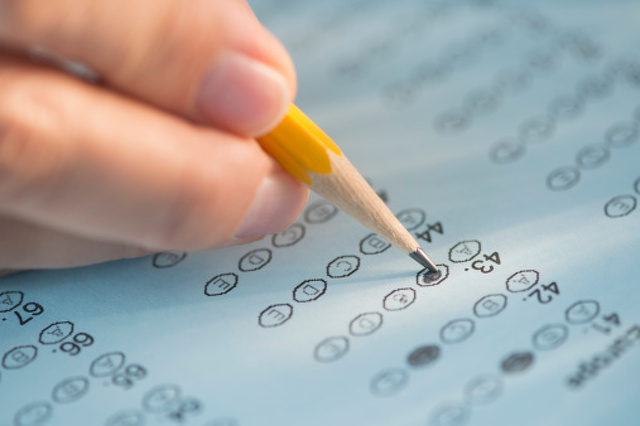 But Ed Fuller, director of Penn State’s Center for Evaluation and Education Policy Analysis, says the intent behind standardized tests doesn't always match up with the reality. Fuller explains that standardized tests like the PSSAs can be traced back to legislation pioneered in Texas and other southern states in 1980s, when the tests initially helped poor districts secure increased funding and led schools to understand where they needed to focus their resources. O’Donnell acknowledges that some school districts do tailor their curricula to teach the content of standardized tests, but says he has a firm policy against SCASD teachers using class time to teach lessons specially based on standardized test content or format. He says the tests are supposed to evaluate students’ knowledge, which can’t be accurately measured if their curriculum is narrowed to fit a test. But even if SCASD teachers aren’t teaching to the test, Mitra says that doesn’t alleviate some of the other concerns that come with high-stakes standardized tests. In her academic research on the subject, Mitra say she’s come across an “overwhelming” number of students who report loss of sleep, anxiety and other signs of depression directly tied to standardized tests. Mitra says Pennsylvania is one of only a handful of states that has very clearly defined laws on parents’ “absolute right” to opt their children out of standardized tests – but the only acceptable reason to get out of the test is a religious objection. O’Donnell says the process for opting out of the tests is a fairly simple one: first, the parents sit down with their school principal to read over the test, ask questions and voice concerns. Next, they write a letter to their principal and the district superintendent informing them that their students will not be taking the test because of religious reasons. Even though SCASD hasn’t seen the same opt out rates as other districts in the state, O’Donnell recognizes that the trend probably isn’t going to go away after this year. He and other SCASD administrators recently met with state legislators to offer recommendations to improve the PSSA test. One flaw in the PSSAs that O’Donnell sees is the fact that the district doesn’t get the results of the exams back until partway through the fall of the following school year. He says that gives the district no chance to examine the test results and consider curriculum updates before the next school year begins. O’Donnell also takes issue with changes that were made to Pennsylvania’s educational requirements this year, which he said were updated before school districts had the chance to fully understand what the changes would mean for their curriculum. Mitra says this year could be “the tipping point” in the national conversation about standardized tests, especially if presidential candidates work the issue into their education platforms. But regardless of what happens on the national stage, O’Donnell says his focus will remain the same. It wasn't too long ago that Tim Frazier was sitting in a suit and tie watching his teammates play as he nursed a torn achilles. But those days are officially long behind the former Nittany Lion. 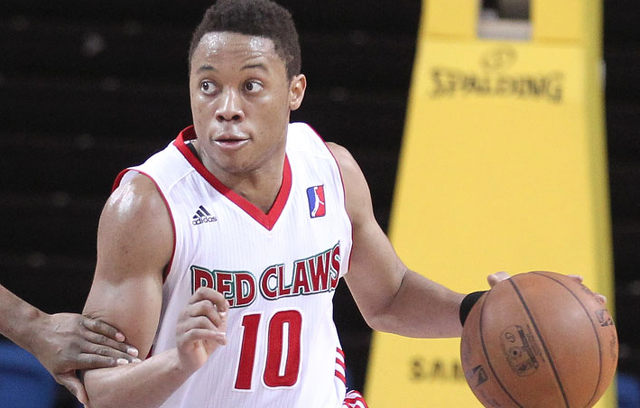 Frazier was named the NBA Developmental League MVP and D-League Rookie of the Year on Tuesday.